A mild earthquake measuring 3.8 on the Richter scale shook cities in northeast of Tehran on early Saturday morning, the director of the state rescue organization announced. 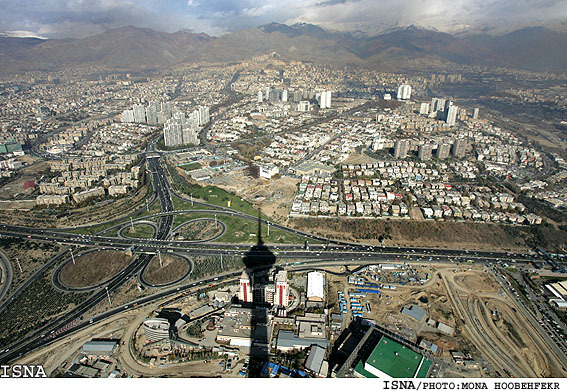 The metropolis of Tehran houses about 10 million people. Tehran is the capital of Iran and Tehran Province. Tehran is Iran's largest urban area and city, one of the largest cities in Western Asia, and the world's 19th largest city. The quake, which happened at 1.00 a.m., jolted the cities of Damavand, Pakdasht, Boumehen, and Pardis in Tehran Province. The center of the quake was in Boumehen. Boumehen, a city with about 40,000 population, is located about 30 kilometer in northeast of Tehran. Mahmoud Mozafar, the state rescue organization director, told the Mehr News Agency that all rescue teams are ready to act quickly in case a quake with a great magnitude happens in the region. Last Saturday two strong quakes hit East Azarbaijan Province, leaving over 300 dead and more than 2000 injured.